I collected a bunch of lettuce seeds from two years ago, and spread them all over the hill in the backyard to hope that they would grow some new plants. 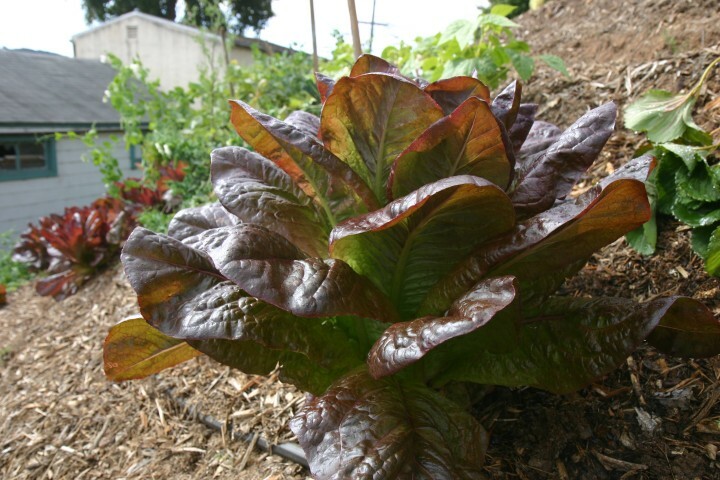 The red romaine lettuce seemed to do very well, partially because their red color left them visible for me to not pull them as weeds, and maybe because the birds didn’t eat the seedlings as they came up. 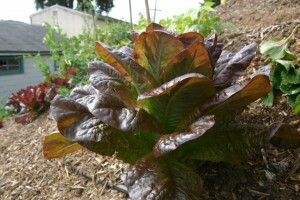 In any case, the red romaine lettuce started growing much later than the “drunken woman frizzy head” broad-leaf red lettuce that grew in the spring. Now I just need a late season variety and I’ll be all set. soil was un-amended rocky clay. Some heads did very well without irrigation!